Bananas are not only one of the most consumed fruit in the world, it is also believed that banana is considered as the world’s first fruit because of its abundance in every part of the globe. The sweet, creamy taste banana can be harvest all year through. The banana tree can grow from 10 to 26 feet and a cluster of the fruit may contain 50 – 150 bananas that are individually grouped. Group we mean 10 – 25 bananas. Though we said that apples are Americans’ staple fruit, still, the Americans consume the most apples in the world. More than apples and oranges combined. And bananas are not only abundant and favorite fruit of many around the world but, it is also a source of many vitamins and minerals and also the health benefits you can get from this yellow fruit. Bananas are very good source of vitamin B6, vitamin C, manganese, potassium, biotin and dietary fiber. Eating bananas lower the blood glucose level for type 1 diabetics and improve the blood sugar, lipids and insulin levels for type 2 diabetics. Bananas also control diarrhea. When you have diarrhea, it lessens the quantities of potassium that makes a person weak. With the help of bananas, it can bring back the lost of potassium in the body and promote its regularity. With its low sodium content, bananas are essential to lower blood pressure. 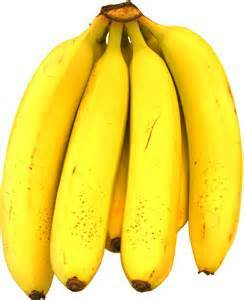 Bananas increase the potassium intake needed by our body specially our bones. It was also found out that high intake of potassium can decrease by 20% the risk of dying from all causes of illness. For children, consuming bananas may reduce the development of leukemia because of the vitamin C content that helps fight the free radicals that causes cancer cells. Eating this wonderful fruit also reduces the development of asthma to children by 34%. The increase in potassium and decrease of sodium intake is an important factor in the dietary needs. Eating banana reduces the risk of cardiovascular diseases. With its tryptophan found in every banana, it helps preserve and boost your memory and balances your mood.